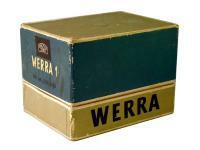 Manufactured in Allemagne (ex-RDA) from 1961 until 0. No, it is not a question of a prototype of Minolta Vectis S1, or then the engineers of East Germany had seen, almost fifty years ago, the future at the bottom of their vodka glass. 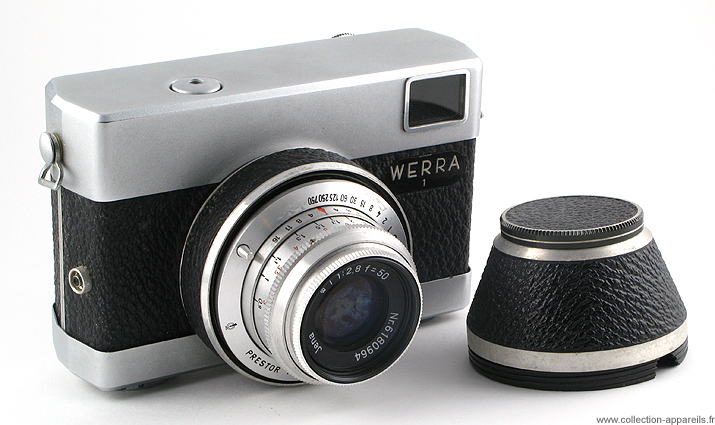 Indeed, how to imagine that this camera was born, in 1953, in a country where the concern of beautiful was not the main thing. All however is smoothed, rounded, soft and… pointed technically. As example, there is no advance lever. To advance the film, it is enough to turn the lens. The shutter release exceeds hardly cap, as on the cameras of today. The sun visor allows in home position to protect the lens.